Another lovely sunny day, with beautiful blue skies and high white clouds. Mum and brother came over for the day and we decided to go hare watching at Lower Fairsnape Farm, in Bleasdale. We were not disappointed, even in the middle of the day, there were plenty of hares zig-zagging all over the place and lying up together in couples. 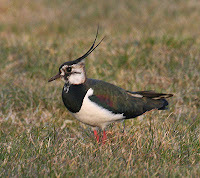 We also got some superb views of flocks of oystercatchers and lapwings displaying, looking stunning against the backdrop of Parlick Fell, as they twisted and turned with the sun glinting off them. 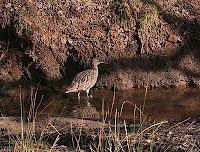 We saw several pairs of curlews feeding and saw our first redshank of the year. We finished off the day at the Cobbled Corner cafe in Chipping were we warmed up with some delicious spicy teacakes and an enormous piece of chocolate cake. 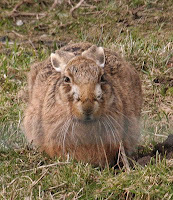 On the drive back at dusk we saw several hares feeding around Whitewell and Dunsop Bridge and a white pheasant. 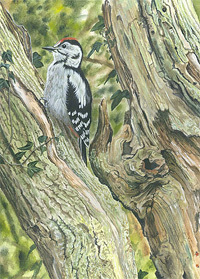 It's been a lovely sunny week, cold but very pleasant after what has felt like a very long winter. Everything seems suddenly to have stirred into action. Lords and Ladies leaves are unfurling in the shelter of hedge bottoms, wild garlic leaves are pushing through, gently scenting the air with garlic, garlic mustard seedlings seem to be sprouting everywhere. Watched honey bees feeding on yellow crocus flowers, their hind legs covered in pollen. Heard my first curlew call over the weekend, my favourite sound and means springs definitely here. Also got a starling that does an excellent imitation of a curlew! Drove over to lower Fairsnape Farm, watched two hares boxing and chasing across field. When one had seen the other off it stretched out and lay down in the sun. Hares are amazingly well camouflaged drove past one and thought it was a rock that looked like a hare, then realised it was a hare that seemed to have managed to flatten its features and look like a rock.